You are buried in a snowdrift, steadily losing heat, slipping in and out of consciousness as your life force drains away. Suddenly you are awoken by a warm, wet muzzle, and a rough tongue licks your face. You hug the furry angel that has come to save you, and instinctively reach for the barrel of brandy you know will be hanging from its neck. A fire fills your chest, and you know that, on this ski trip at least, you are not going to die. A familiar fantasy? It’s one of mine, anyway, that I happily daydream about while floating over the slopes on a chairlift. It’s unlikely to happen, though. St Bernards are rarely used as rescue dogs these days – Alsatians are lighter, nimbler and faster. And, as most skiers know, giving alcohol to someone about to die of hypothermia is a bad idea. The legend of the St. Bernard with its barrel of brandy lives on, however. 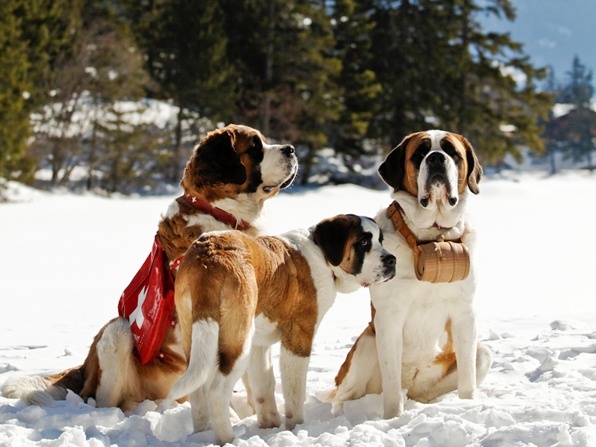 And a good place to discover the story behind Switzerland’s most famous breed is here, at the St. Bernard Museum and Dogs, located next to Martigny’s Roman amphitheatre – and beside the track of the branch-line railway that carries skiers up to the nearby resort of Verbier. Big attraction at the moment, literally, is 56kg Ivoire. She gave birth to nine pups just before Christmas, duly named by readers of the local paper: Zamba to Zophus, with a string of other sleepy Zs in between. 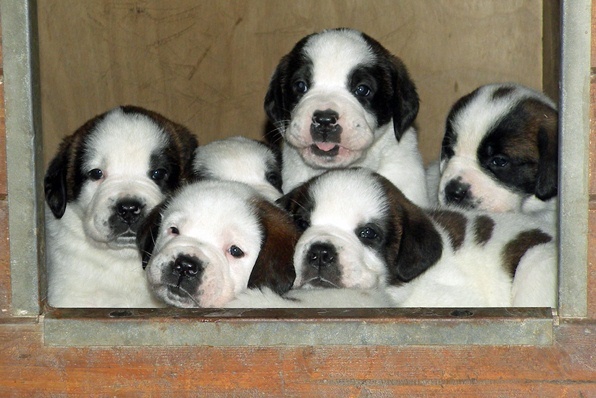 You can see them through the glass wall of their spotless kennel – this is Switzerland, remember – where most of the time they lie in their basket, a snoozing, twitching mass of wet noses, oversize paws and puppy fat. Back indoors, visitors can learn more about the breed. It takes its name from the hospice on the pass at the top of the valley, founded by St Bernard nearly 1,000 years ago to shelter and feed travellers crossing the Alps. By the Middle Ages, the Via Francigena from Canterbury to Rome – which passed through Martigny and over the St. Bernard Pass – had become the second-most popular pilgrimage route in Europe, and pilgrims could count on a free meal and a bed from the monks at the hospice – as could anyone who passed this way, whether pope, pauper or brigand. You imagine, though, that the monks’ commitment to their vow of hospitality must have wavered when Napoleon turned up in May 1800 with 46,000 soldiers, on his way to invade Italy. The dangers up here were real enough, however. For nine months a year, the pass is covered with snow, which can lie up to 15 metres deep. Many travellers died crossing the mountains, whether they were swept away by avalanches, lost their way, or were simply caught up by bad weather and froze to death. Dogs were probably kept as guards at the hospice as early as the mid-17th century, but they soon made themselves useful in the search for lost travellers. The most famous St. Bernard of all, Barry, who lived from 1800 to 1812, saved at least 40 lives – and in his memory, one of the dogs at the hospice has been named Barry ever since. In recent years the dogs have spent the winters down in the valley, at the kennels run by the Barry Foundation, close to the museum. Dog lovers can combine a visit to the kennels – home to about 30 dogs, breeding about 20 pups a year – with a guided walk through the vineyards nearby. 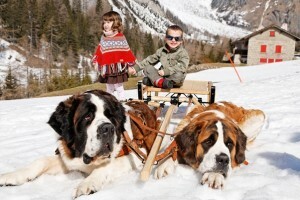 The Foundation also offers guided walks in the mountains around Champex – one of Verbier’s smaller, nearby ski areas – on which children can ride a sleigh pulled by a pair of St Bernards. And the legend of the barrels? It seems that stories about St Bernards bearing vessels of alcohol began to circulate at the time Napoleon’s soldiers passed through; perhaps the dogs were commandeered to help carry provisions. But it was the enormous popularity from 1832 of a picture – a painting copied and sold throughout Europe in the form of engravings – that sealed the myth once and for all. The image shows a pair of dogs discovering a traveller half-buried in snow. One of the dogs, with a barrel around its neck, is licking the travellers’ hand; the other is barking, apparently summoning help. The painting is called “St Bernards to the Rescue” – by none other than the English artist Sir Edwin Henry Landseer, famous for his paintings and sculptures of animals, including the Monarch of the Glen, and the lions of Trafalgar Square. 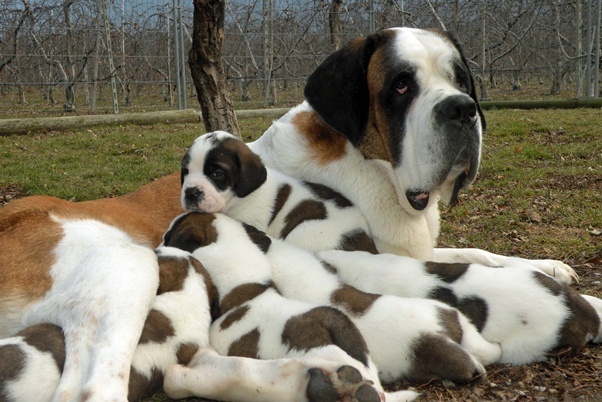 The Musée et Chiens du St. Bernard in Martigny (00 41 27 720 49 20; www.musee-saint-bernard.ch) is open daily 10am-6pm; admission CHF 12 (£7.80) for adults, children over eight CHF 7 (£4.50), children under eight free. Audio guides in English cost CHF 3 (£2). 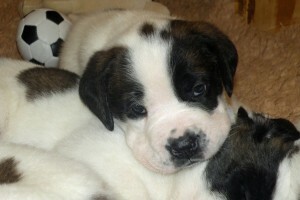 Book guided walks with St. Bernards through the Barry Foundation (00 41 27 722 65 42; www.fondation-barry.ch). Accompanied walks through vineyards plus a visit to the Martigny breeding centre take place every Wednesday, Friday and Saturday at 1.30pm until the end of April, starting at the breeding centre. 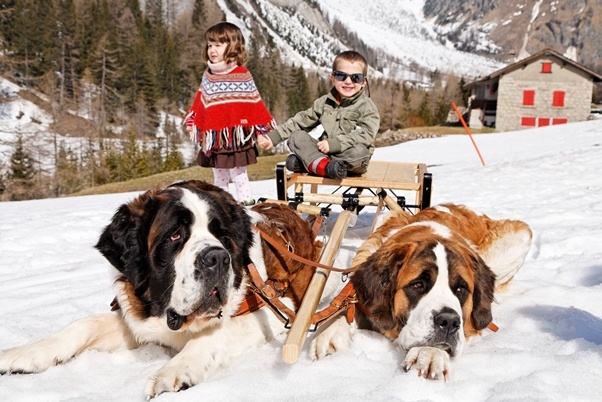 Walks near the small ski resort of Champex (children under 10 can take turns to ride a sledge pulled by the St Bernards) take place at 9.50am and 1.50pm on Saturdays and Sundays in February, departing from the Champex-Lac tourist office (00 41 27 783 12 27). The cost for either is CHF 45(£29) for adults, CHF 9 (£5.90) for children aged six to 16; under-sixes free. Further information: the Switzerland Travel Centre (00800 100 200 30, www.MySwitzerland.com) and the Verbier tourist office (www.verbier.ch). Cute little creature or bloodthirsty killer? There may be more to the European marmot than meets the eye. 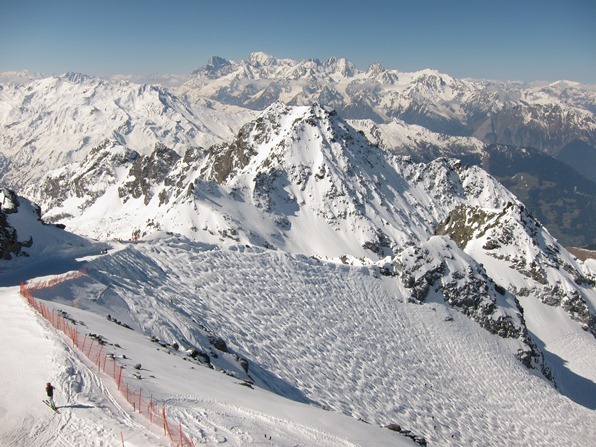 Looking towards Mont Blanc – a field of moguls or of marmot homes? 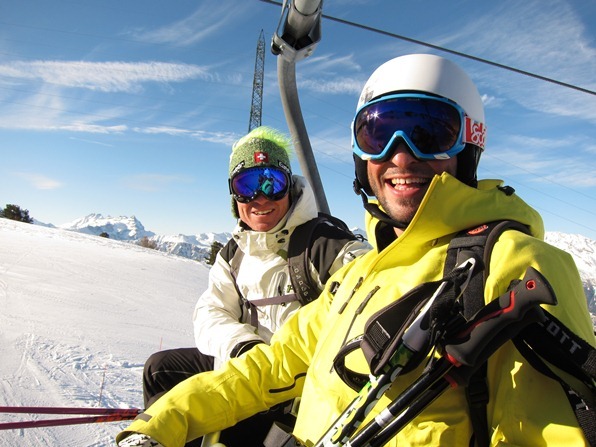 “The biggest cause of death in the mountains,” says Jordan, our coach on the ski instructor course as we ride the chairlift to lunch, “is marmots.” He is talking about the fat rodents more familiar to summer hikers in the Alps. Usually you hear them first, whistling a warning to their neighbours, before you catch a glimpse of brown fur disappearing into a burrow. We think he’s telling porkies. I come up with another story: that the Swiss use them for massages. Craig, the Australian financial wizard, is incredulous. “What, they rub each other with marmots?” he asks. No, I say, they extract the fat and turn it into massage oil – to warm and relax muscles. My companions don’t believe me either. But it’s true – and to prove it, here’s a website that sells the stuff: www.murmeli-kraeutersalbe.ch. Two summers ago in the Swiss resort of Saas-Fee, I thought I would have a chance to see a marmot up close. Other guests reported that they were so tame they would eat carrots out of your hand. So one afternoon I set off up the mountain, found some burrows, and waved some freshly peeled carrot in the doorways. Not one marmot came out. I concluded it was because of my attire: a hi-tech mountain jacket that just happened to be carrot-coloured. Presumably any semi-dozing marmot glimpsing a 6ft vegetable loitering outside its burrow would assume it was having a dream induced by a piece of undigested lunch – and would quite reasonably ignore it. The night after Jordan tells me his marmot story, I too have a dream: I wake up to find myself in bed with a giant marmot. And it’s gnawing at my leg with its big yellow teeth. Jordan tells me he has eaten marmot (“er … nice”), but doesn’t know any good recipes. I do some research. I can’t find anything Swiss, but learn that marmot is a popular quarry for hunters in Mongolia, and that they barbecue it to make “boodog”. I have yet to try this recipe, so I cannot vouch for it. But I can say that it provides happy material for opening a conversation when you are hungry and stuck on a slow chairlift with strangers. Bon appétit!